I was a little concerned this would be a massive dud as I cant remember getting much done at all really. Still, here goes! 1. MUST keep up to date with bee activities! This period should involve 5 or so bee months, cos I've still got Octobers Star blocks to do... and don't forget the Bee Blessed blocks! 1a Do my own blocks from August, and after Christmas start putting my Bee Quilt together! Done. This was the bag in question, made for my brothers wife, for her to give to her brothers wife! I'm very pleased to say that it went down well - with my sister in law and with hers! Done. That looked like this. 8. Make a quilt for bestie in Germany and her wee bump wee lass! That is now a WIP... and a secret one at that.... I'm getting there! 11. 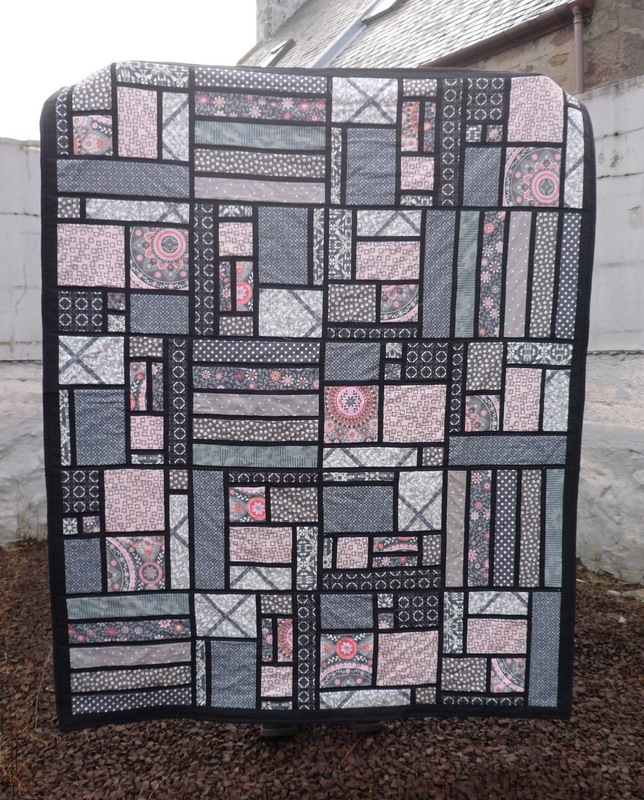 Must decide how to go about quilting my Stained pink Quilt. 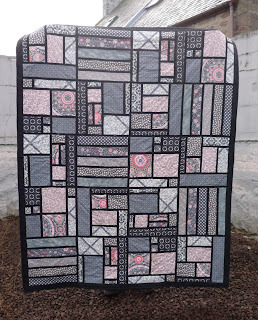 Complete pattern and instructions for Soul Tracks Quilt, then make, photograph and do tutorial. Ach no' bad really, when I think about it. Fair bit more to go though... And a quilt along and two more swaps can be added to that list. Not clever! Oh well. MUST STOP SIGNING UP FOR STUFF! Elaine and I are very excited about a certain WIP :)) she's (literally) drooling at the thought! Good luck for all the other projects. Was tempted to join your quilt along but, being realistic, the chances of me getting very far are slim to none. So far this year have only managed to make 6 neckerchiefs(in the war against drool) - that's it. Will phone soon! You have achieved heaps. We would have to stop blogging to avoid all the great inspiration out there. Hi Sarah-- I'm reading part three of your updates first since I'm behind on blog reading (will read the other two after this). You need to take more photos of your finishes, girl! I love your Hexies-- missed seeing them before. Looking forward to seeing all your progress on your WIPs. Dear me you make me feel lazy!!! I think you've done really well!! I love everything you've made - especially that cushion and the pixel tree! All that and running a QAL, think you're brilliant :) I wouldn't mind an update part 4! You've done really well with your list (much better than me!) and considering how comprehensive it was that's saying a lot! Good luck with the rest of it! That's a brilliant bunch of stuff, and running a QAL gets you mega-bonus points!! You'll never stop signing up for things, but you sound in control. Well done, babes!